Looking for fresh apps for your iOS device? 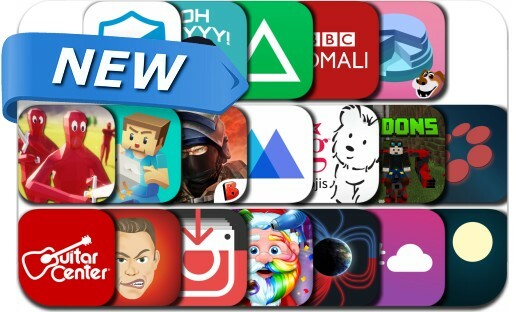 We’ve found 19 great apps that were released over the last couple of days. This new apps alert includes Bullet Force, Archer Fight, Momento GIFs, Disaster Prediction App, SavvyConnect, Guitar Center, Momento GIFs, AutoSleep, Video & Photo Downloader for Instagram, AT&T Call Protect, OptionsHouse Mobile, Top Tier and many others. Totally Accurate Battle Simulator - Archer Fight!